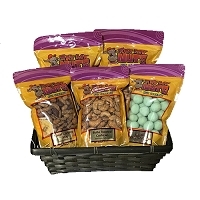 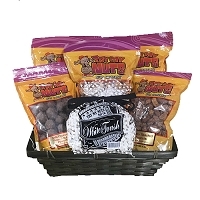 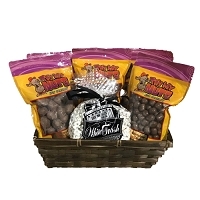 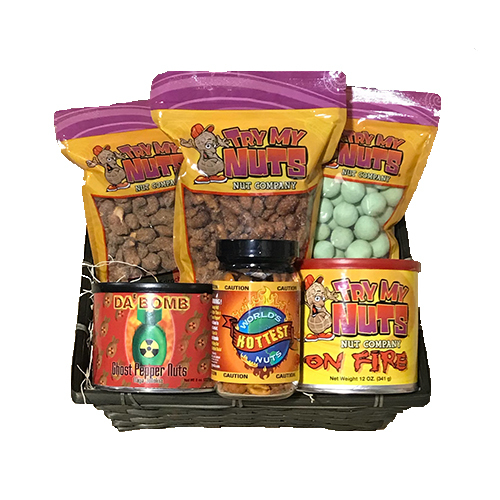 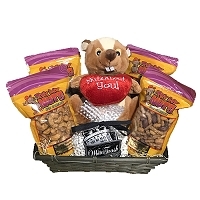 This Hot Nuts Gift Basket is made to burn! 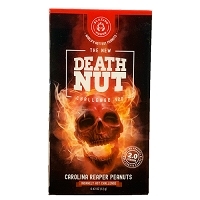 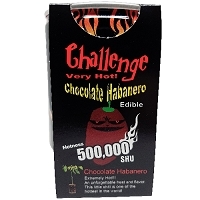 World's Hottest Nuts 5.29 oz. 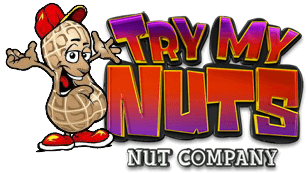 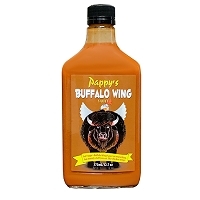 Honey Chipotle Peanuts 16 oz. 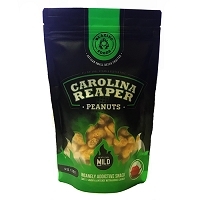 Wasabi Peanut Crunchies 4 oz. 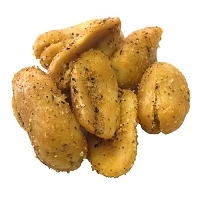 Honey Sriracha Cashews 8 oz. 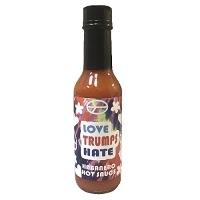 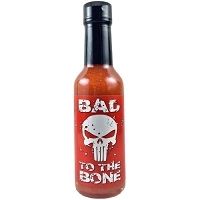 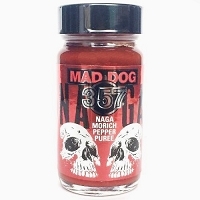 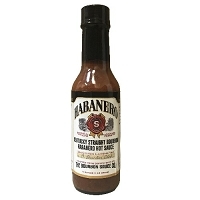 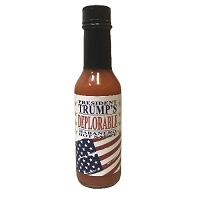 Da' Bomb Ghost Pepper Nuts 8 oz. 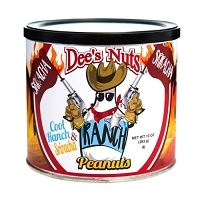 Nuts on Fire 12 oz.